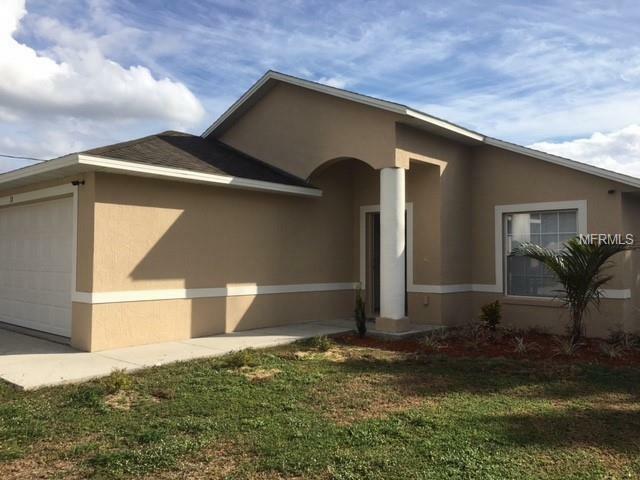 1 story home with 3 bedroom and 2 bathrooms, and attached 2 car garage. Lawn care included in rent! Home was freshly painted in and out and new blinds installed! Open floor plan in common area - kitchen with breakfast bar opens to living/dining combo. French doors lead out to a rear covered porch. Carpeting in most rooms with tile flooring in wet areas. New dishwasher to be installed once tenant approved.